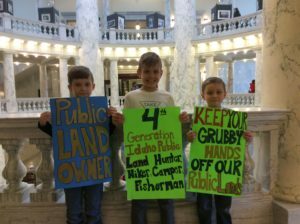 This article originally appeared on the IDAHO CONSERVATION LEAGUE blog on March 12, 2019. 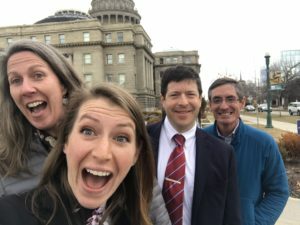 This week was the first time a committee had ever formally considered the topic of climate change and Idahoans showed up to deliver a message: Keep public lands in public hands! This week, there was enough happening in the Statehouse that I called on my colleagues at ICL to back me up. After all, it’s difficult to be in four places at once! The good news is that many ICL staff feel comfortable at the podium providing expert testimony before sometimes hostile committees. Other times, staff gear up and aren’t even provided a chance to testify (sorry Dagny). That’s why it’s important for your legislators to hear from YOU! So please, take a moment to weigh in on some important bills, like HB 162! Now Is the Time to Stand up for Your Lands! 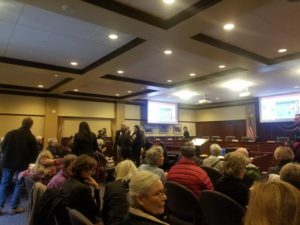 The House Environment, Energy and Technology Committee welcomed several scientists and experts in their field to testify on the impacts of climate change in Idaho. It was the first time a committee had ever formally considered the topic of climate change. Chairman Vander Woude (R-Nampa) summed it up well when he said, “Idaho’s climate is changing, but we don’t have the information on Idaho-specific impacts to our economy in order to make good decisions.” It’s true, there’s better information that we could collect to better understand all the myriad ways that climate change will wreak havoc upon Idahoans daily lives. 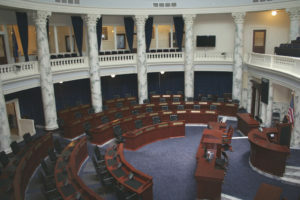 The discussion prompted Rep. Mat Erpelding (D-Boise) to introduce a proposal for an interim committee to better understand how climate is impacting Idaho. 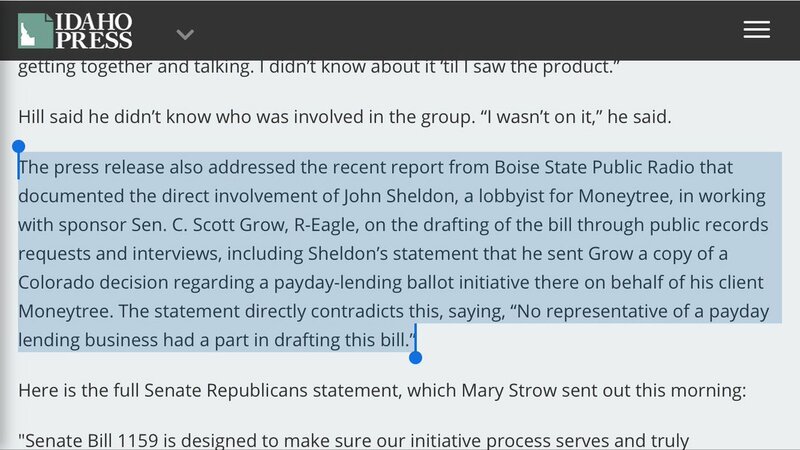 Kudos to Reps. Ilana Rubel (D-Boise) and Rob Mason (D-Boise) for working to get the hearing on the calendar. Because things don’t happen until people start talking. There was lots more happening at the Statehouse this week, including a common sense bill to prohibit exploding targets on state lands that ICL testified on just this morning. It advanced to the Senate with unanimous support. Another bill was introduced this morning to provide consumer protections for purchasers of solar energy systems. It’s supported by Idaho Power and solar installers alike. Another would limit the ability of homeowners associations from blocking solar panels, and a finally a troubling bill from Sen. Scott Grow (R-Eagle) would restrict the initiative process. 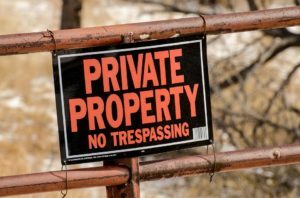 Other bills continue to advance that would limit the ability of Fish and Game Conservation Officers from conducting searches when they believe someone may be a poacher, and a concerning bill that would eliminate the need for counties to implement land use plans. Idaho Day is celebrated every March 4, the day that President Lincoln established the Idaho Territory in 1863. 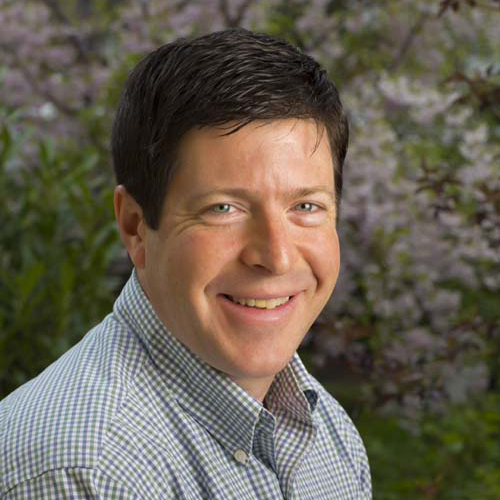 This year, former Idaho Rep. Linden Bateman spoke eloquently on the House Floor recognizing the things that make Idaho unique … Our people, our history, our communities and our beautiful public lands. 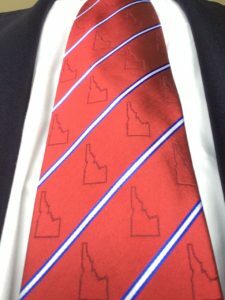 This week’s tie recognizes the importance of our public lands to Idaho’s shared identity and is a plea to you to join us, because now is the time is now to stand up for your public lands!